After an eloquent and moving analysis of what he sees as the disillusion of themodern age, Lippmann posits as the central dilemma of liberalism its inability to find an appropriate substitute for the older forms of authority - church, state, class, family, law, custom - that it has denied. 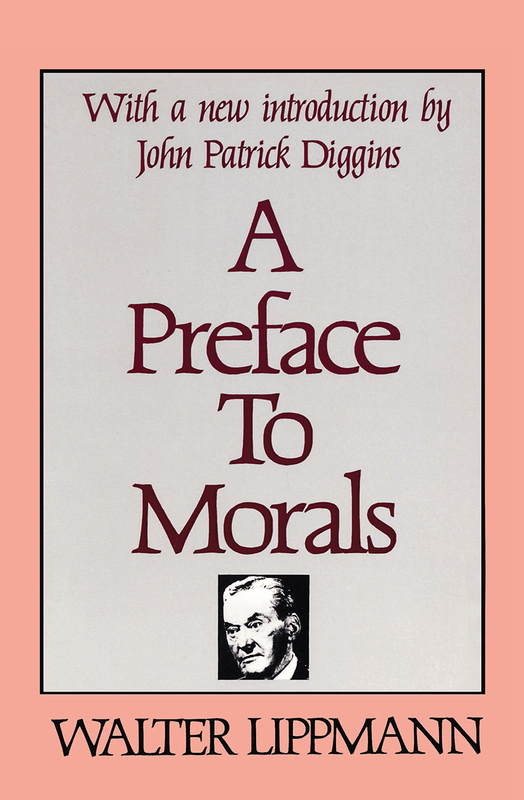 Lippmann attempts to find a way out of this chaos through the acceptance of a higher humanism and a way of life inspired by the ideal of "disinterestedness" in all things.In his new introduction to the Transaction edition, John Patrick Diggins marks A Preface to Morals, originally published in 1929, as a critical turning point in Lippmann's intellectual career. He also provides an excellent discussion of the enduring value of this major twentieth-century work by situating it within the context of other intellectual movements.